They met on a Tuesday, a hot Tuesday in Southern California, and filled up an entire shopping cart with groceries and conversation and dreams. Sometimes not getting a shopping cart can lead to a lot more than just carrying your food to the checkout counter under your arm. 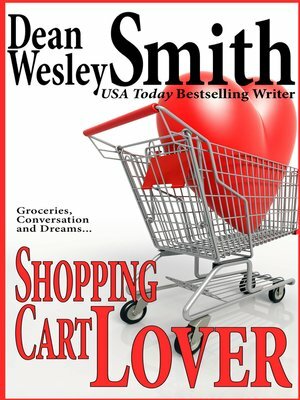 Bestselling author Dean Wesley Smith has written more than one hundred popular novels and hundreds of published short stories. His novels include the science fiction novel Laying the Music to Rest and the thriller The Hunted as D.W. Smith. With Kristine Kathryn Rusch, he is the coauthor of The Tenth Planet trilogy and The 10th Kingdom. He writes under many pen names and has also ghosted for a number of top bestselling writers. Over his career he has also been an editor and publisher, first at Pulphouse Publishing, then for VB Tech Journal, then for Pocket Books. He is now an executive editor for Fiction River.